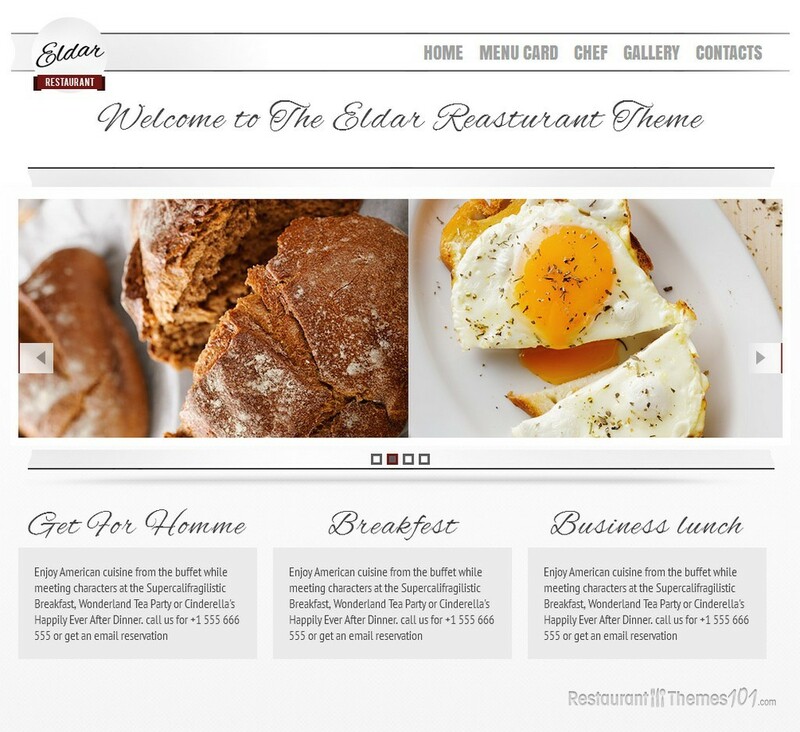 Eldar is a responsive restaurant HTML theme with a unique style and many useful options, which is created by Chaykovskiy and featured at ThemeForest . 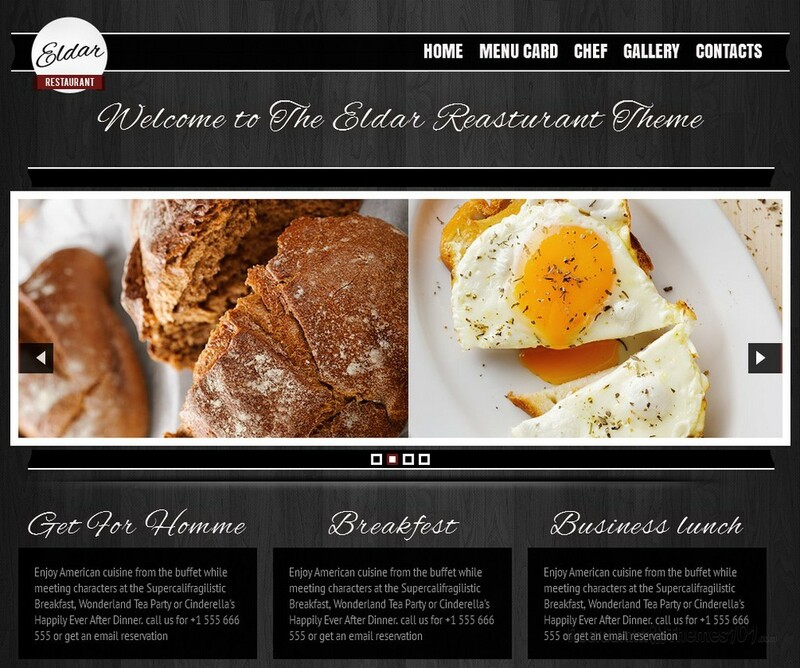 It is a one page HTML theme for restaurants and cafes who want their website to look extraordinary and attractive. When it comes to the layout, you can choose between a light and dark style. 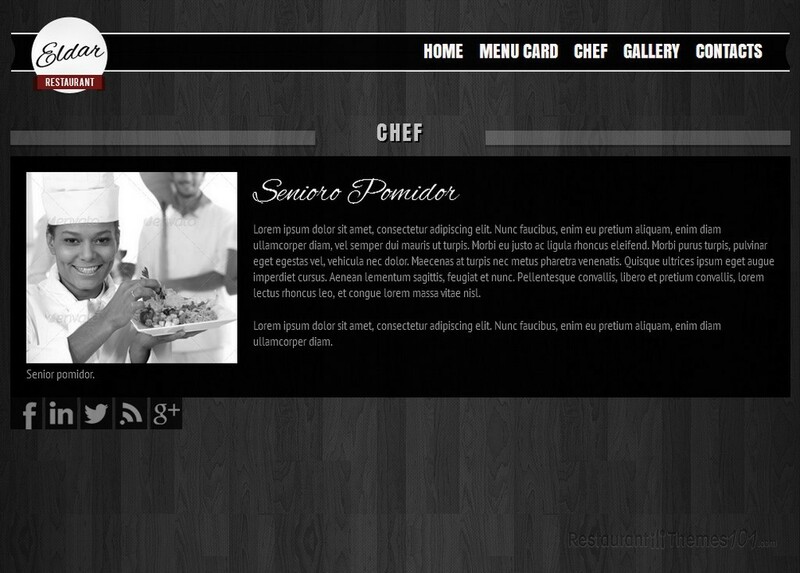 The colors of the dark styled layout are black and white with a stylish textured gray background. Eldar looks very modern and professional. The light style features bright colors and gives the whole website a clean and clear look. A wide slider enhances the layout where you can post photos of delicious food, or photos of your restaurant. This slider will grab your visitor’s attention so make sure you put representative, mouthwatering photos that will make your visitors hungry for your delicacies on the spot! 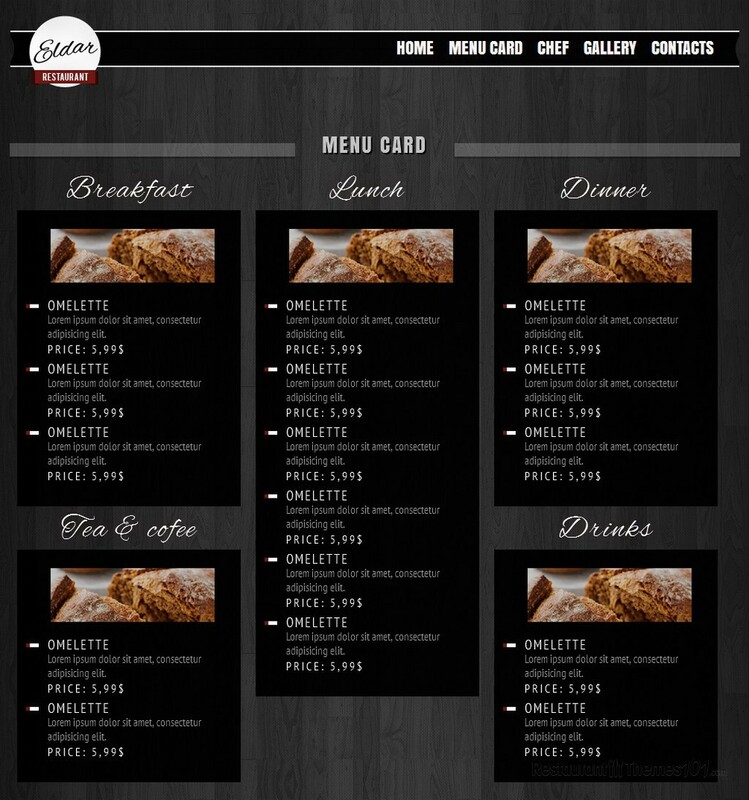 The fancy jQuery Scroll is used for this layout, and right underneath the slider is a place with nice boxes where you can present your daily specials, or anything you would like to point out to. The menu card looks super cute. 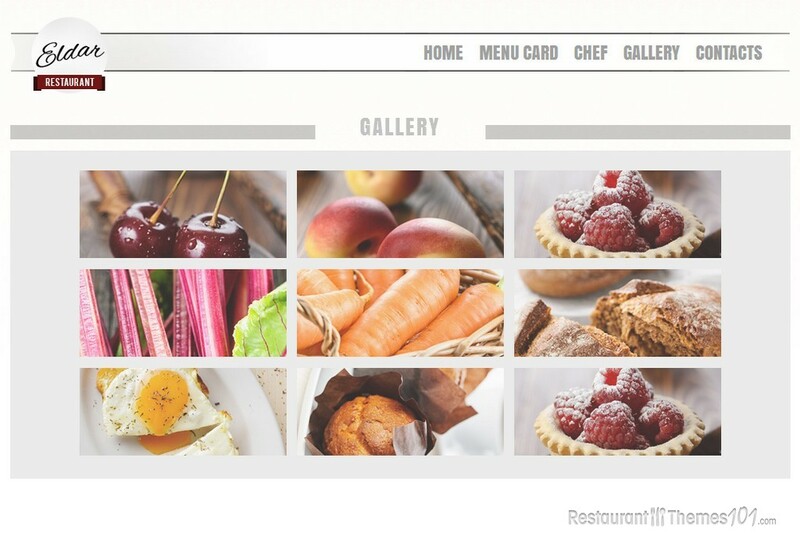 You will be able to easily create a categorized menu where you can add photos and descriptions of your dishes. 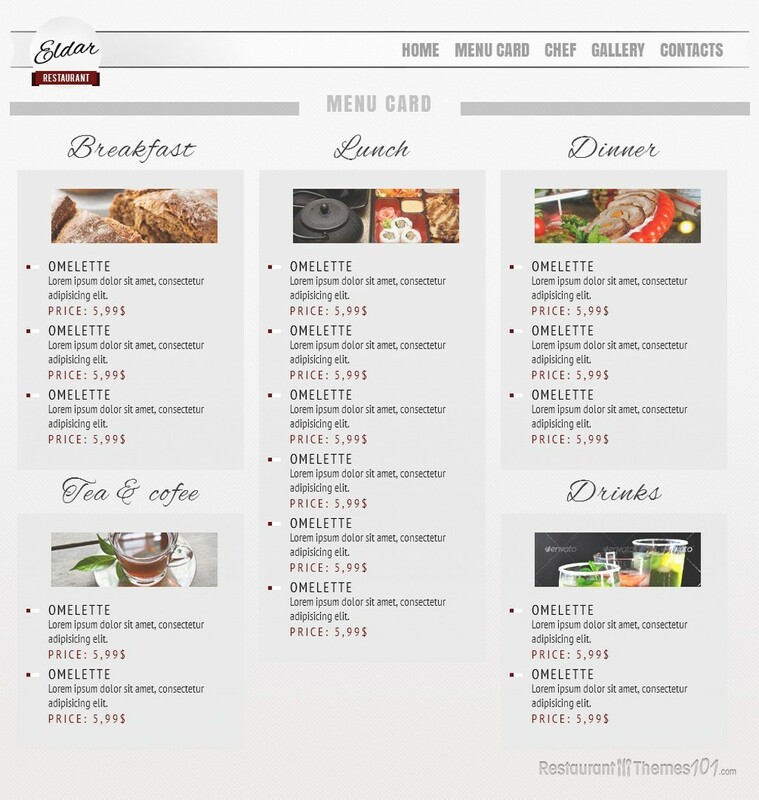 The next section, under the menu card is reserved for you to introduce your chef to your guests, or to present the chef’s recommendations to them. 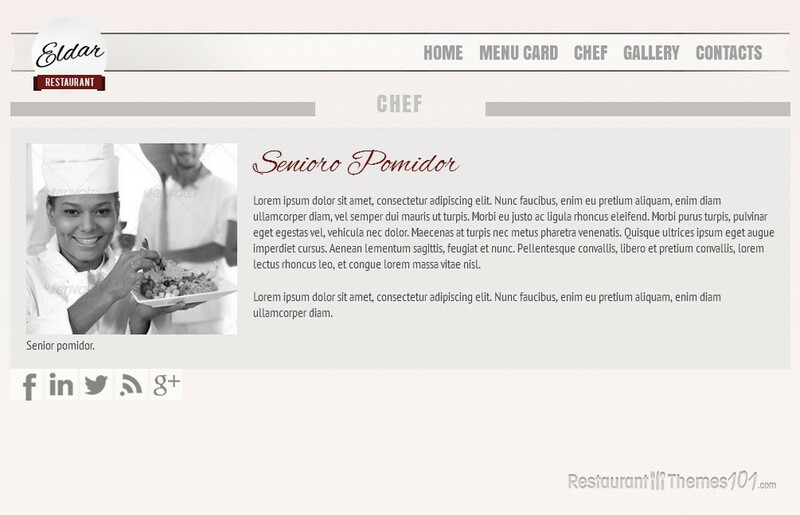 This responsive HTML restaurant template has great social integration, and this is where you can place your social network buttons and connect your website to the most popular social networks online. 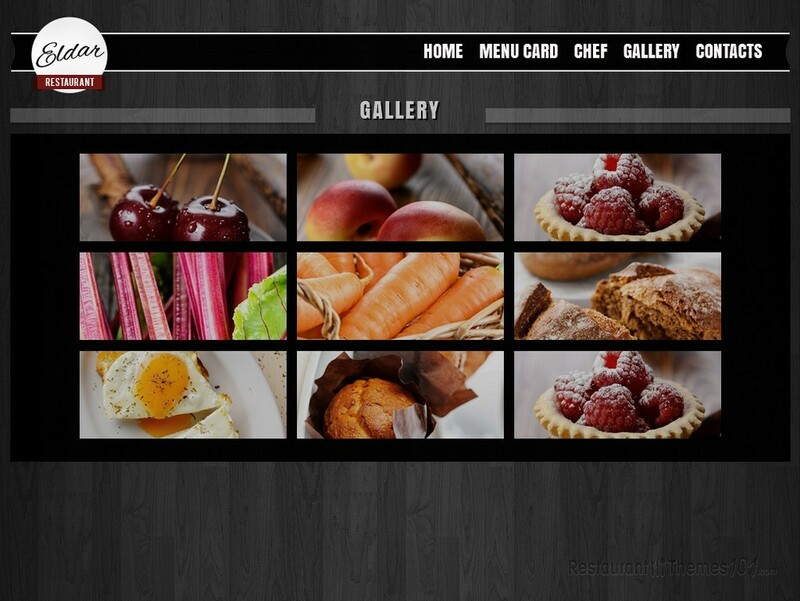 You will also be able to create a gallery and show photos of your delicacies to your guests. 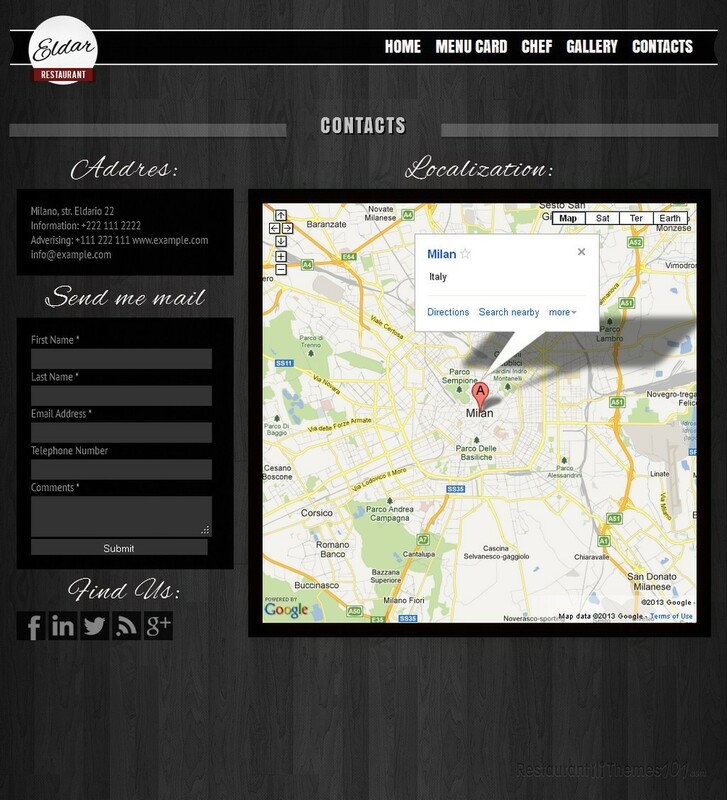 The contact page features Google Maps with clear directions to your restaurant. 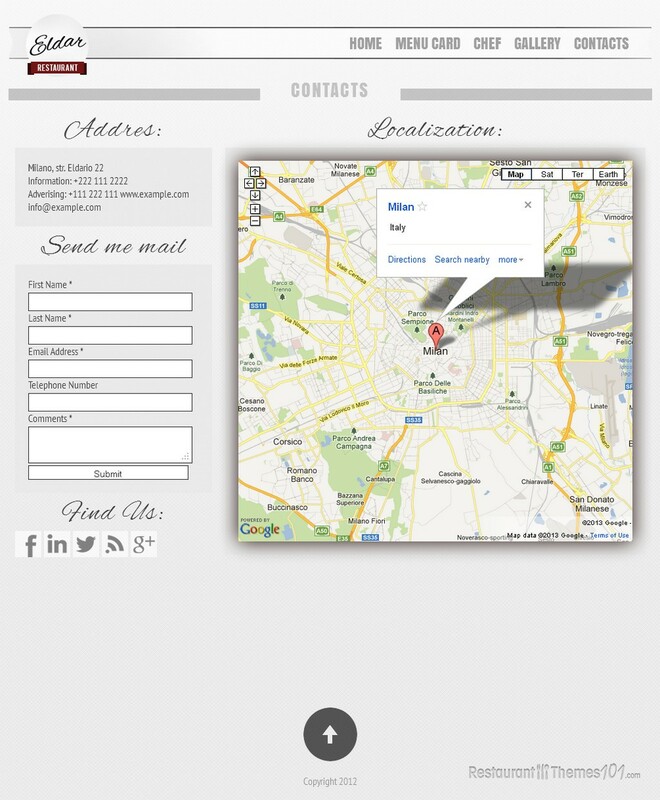 The layout is completely responsive and it will look great on any device, including mobile devices. It is very easy to customize and it comes with a nice amount of documentation included.